The qualification outcome has been written to allow the learner to gain skill & knowledge from both the daily learning in the workplace and support from a trainer on the underpinning knowledge questions asked in a formal environment whilst allowing for the flexibility of day to day business needs and may also recognise the skill and knowledge of a learner’s previous history, further streamlining the qualification should the learner have the evidence that they already have the skills and abilities in parts of the whole qualification. The job role involves putting into practice additional skills in the learner’s trade or cross skills from other industries. 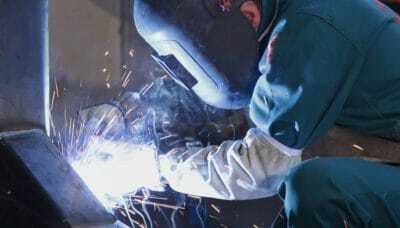 The learner may be involved in the design, manufacture, installation or modification of sheet steel and structures or the installation and repair of plant. Did you know that the government can provide up to $10,500 in incentives for employers, if your apprentice completes a Certificate IV in Engineering? *These employees’ incentives are not available under C3G funding. Funding support and employer incentives may be available under the Australian Apprenticeships Incentive Program if the relevant criteria are met. Individuals completing their first post-school Certificate III qualification could be eligible for the Certificate 3 Guarantee subsidy. User Choice and self-funded options with up to 12 months interest free are also available. For course fees, please enquire. Upskill yourself or your workforce with a Certificate IV in Engineering and become an Advanced Engineering Tradesperson.